The International Law Section provides a focal point for lawyers and others interested in transnational and international law matters, trade and business practice, migration and human rights issues. Lawyers and others are able to discuss current issues and contribute to the development of international legal practice and policy. The Section’s Chapters provide an opportunity for Australian trained lawyers based overseas to meet, network and filter back issues of concern. Gives its members the opportunity to develop a network of professional contacts in their fields of practice. Promotes mentoring opportunities for lawyers wishing to undertake a career in international law. Distributes a newsletter with information about current international issues, upcoming event around Australia, courses, jobs and internships. Through its international Chapters provides contacts, networking opportunities with Australian lawyers working overseas. 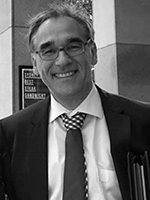 Dr Wolfgang Babeck has more than 20 years’ experience as a corporate and commercial lawyer and is admitted in New South Wales, England & Wales and as Rechtsanwalt in Germany. He acts on matters across a great range of industries (manufacturing and transport, infrastructure and energy, technology, FMCG and health) and has specific expertise on tenders, mergers & acquisitions and employment law as well as cross border disputes including arbitration. 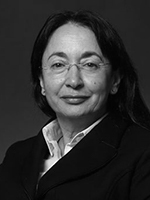 Mary Walker has been at the forefront of ADR in Australia for the last 28 years. During this period, as a member of an independent Bar, Mary has arbitrated, mediated, negotiated, facilitated multi-party, environmental and community disputes, designed dispute resolution systems and provided expert appraisal and ombudsman services in respect to thousands of disputes referred by solicitors, industry and government bodies and corporations both domestic and international. 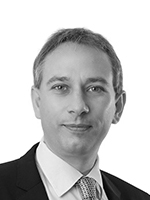 Dr Martyn Taylor is a corporate & commercial lawyer based in Sydney. He heads the telecommunications & media group, the international trade group, and the rail group in the Asia-Pacific. Martyn’s practice covers transactional, contentious and advisory. He is a well-known telecommunication, internet, media & technology (TMT), infrastructure, energy, competition & regulatory lawyer.